Size matters in the park, which is why the K2 Party Platter Snowboard is shrunk down 10cm smaller than a "normal" board. 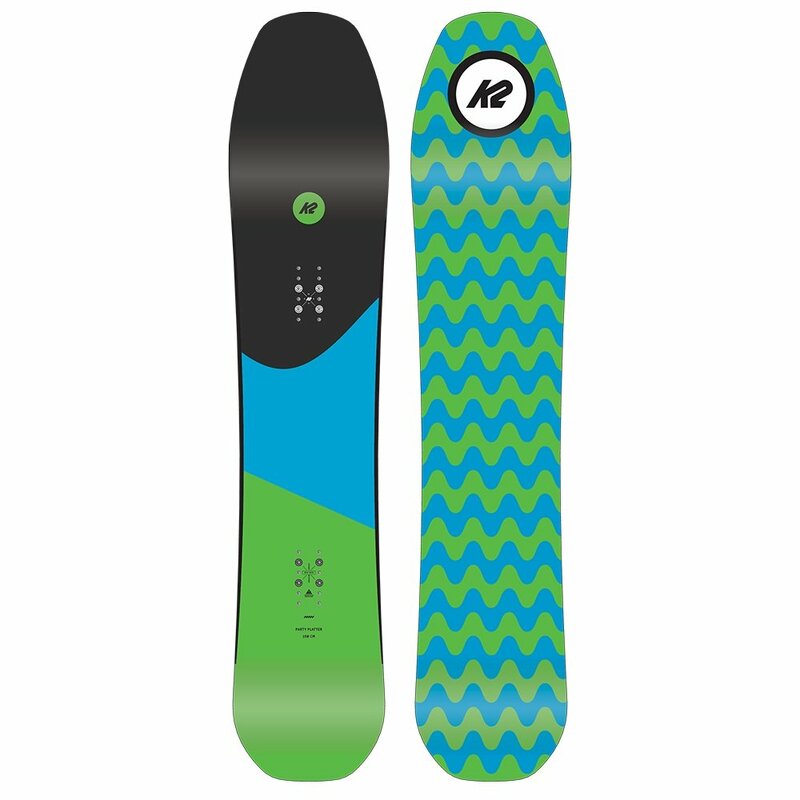 By putting more board between your feet and less in the tip and tail, K2 was able to give you a board with the same strength and stability, but much more agility and seriously reduced weight. Add in the powerful pop of the Ollie Bar™ built into the BAP Core and you get higher jumps, faster spins, and more rapid response than you'd ever find on a full-size board.